Here is a video that we made of the Monk Makes resident puppet (Pepe) being taught to move using the animate.py program. Here is the Puppet in action at Preston Raspberry Jam. 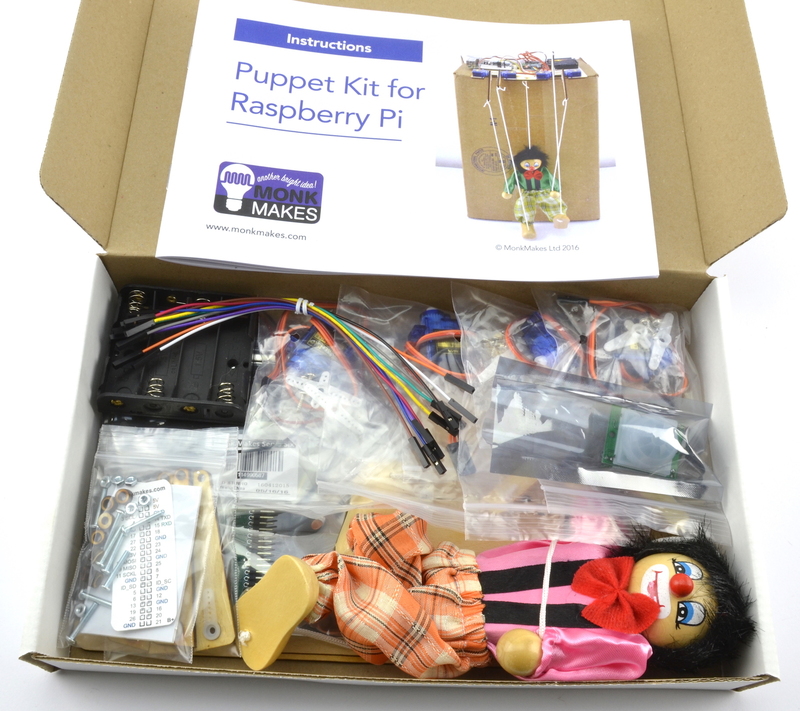 We would love to hear and see what you have done with your puppet, so please let us know, either by Tweeting us @monkmakes.com or emailing Linda at linda@monkmakes.com. 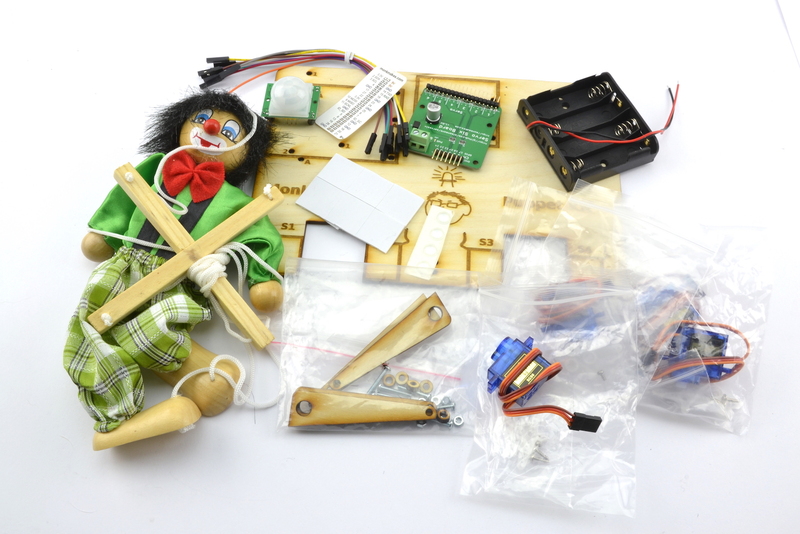 The Puppet kit uses a MonkMakes ServoSix board to control the motors. The MonkMakes Servo Kit includes a ServoSIx and a couple of servos.